Based on the best-selling novel. 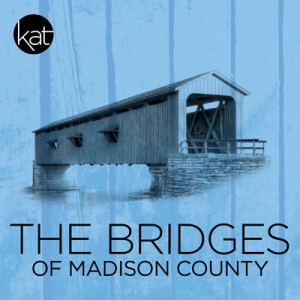 The Bridges of Madison County captures the lyrical expanse of America’s heartland along with the yearning entangled in the eternal question “What if…?” Francesca Johnson, a beautiful Italian woman who married an American soldier to flee war-ravaged Italy, looks forward to a rare four days alone on her Iowa farm when her family heads to the 1965 National 4-H Fair. When ruggedly handsome, National Geographic photographer, Robert Kincaid, pulls into her driveway seeking directions, though, what happens in those four days may very well alter the course of Francesca’s life. Christopher Gillespie (Bud) is excited to return to KAT having performed in The Addams Family and Spring Awakening. Other credits include NextStop: Urinetown; Keegan Theatre: Parade, Cabaret, A Man of No Importance; ACT: The Robber Bridegroom; LTC: Devil Boys from Beyond; RDT: The Best Little Whorehouse in Texas. WATCH Award nominations for Sylvia St. Croix in Ruthless! and Eddie in Patent Leather Shoes at DS. He teaches Theatre Arts at Wakefield HS in Arlington, VA. Christopher has a BS in Theater Ed-Wright State University and a MFA in Acting-Florida Atlantic U. Thank you to Victor for your support. Jonathan M. Rizzardi (Robert Kincaid) is an actor, vocalist, and teaching artist in the Washington, D.C. area. 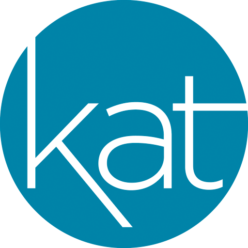 He is excited to be back on stage at KAT after playing the Emcee in Cabaret last fall (WATCH nom. Outstanding Lead Actor). Recent credits include: Monumental Theatre Co.: Bonnie and Clyde; 10th Muse Productions: Sioux Falls; Theatre Prometheus: Cymbeline; Source Festival: “Covert Catalyst” 10-Minute Plays; Watermelon Inc.: Etched in Stone. Jonathan teaches with Round House Theatre, Imagination Stage, Everyman Theatre, Young Playwrights Theatre, as a guest artist in MD public schools, and is the Founding Artistic Director of The Bell Tower Theatre. Jessica McClanahan (Marian, Chiara) is thrilled to be making her KAT debut and her long awaited return to theater. Jessica served in the US Navy from 2004-2015 as a vocalist/entertainer for the US Seventh Fleet Band in Yokosuka, Japan and U.S. Naval Academy Band, Annapolis, MD; and most recently as vocal instructor at the the Naval School of Music in Virginia Beach, VA where she served as the vocal instructor. Prior to her Naval service, Jessica earned her B.M. in vocal performance from Butler University in Indianapolis, IN and performed with various opera companies to include Indianapolis Opera, Capitol Opera Raleigh, and Annapolis Opera. James Swindell (Michael) is excited to make his KAT debut in Bridges! He has previously appeared in Parade (Young Soldier) and RENT (Ensemble) with Little Theatre of Virginia Beach; 9 to 5: the Musical (Joe) with Little Theatre of Norfolk. Additional ensemble credits include appearances at Virginia Opera, Christopher Newport University, Trinity Episcopal Church, and St. Andrew’s Episcopal Church. James is a graduate of Christopher Newport University (BM) and Carnegie Mellon University (MAM). He would like to dedicate these performances to all of his wonderful colleagues at Imagination Stage in Bethesda, MD! Annie Coulson (Carolyn) is thrilled to return to KAT in this beautiful show after appearing in Les Miserables three years ago. She is currently a Junior at Quince Orchard HS. Her previous credits include We Will Rock You (Scaramouche), Footloose (Urleen), The Addams Family (Alice Beineke), Shrek (Fiona), Annie (Annie) and A Chorus Line (Kristine). She is currently a member of the pre-professional program at ATMTC. Annie is beside herself and over the moon to be performing in one of her favorite shows of all time. Malarie Zeeks (Marge) is ecstatic to be making her KAT debut in Bridges! Favorite past roles include Betty Haynes in White Christmas, Fiona in Shrek the Musical, Deirdre McDavey in I Hate Hamlet, Hodel in Fiddler on the Roof, and Lola in Damn Yankees. She would like to thank her loving and encouraging husband for being supportive and encouraging, her grandparents for being amazing parents, and the amazingly talented cast and crew for making this show be a truly memorable experience. Jon Simmons (Charlie) is very excited to be making his KAT debut with this production. Washington area audiences may recognize him as Williard Hewitt from MCP’s productions of Footloose or 1776 or Anything Goes with LTA. A Pennsylvania native, Jon has also appeared as Judas in Godspell, Younger Brother in Ragtime, and Mr. Bumble in Oliver! When not performing, he teaches fourth grade in Falls Church, enjoys reading, and travels as much as he can! Thanks to all for their support. Enjoy the show! Allison Meyer (Ensemble) is delighted to be making her debut in the Washington, DC area with Kensington Arts Theatre. Favorite credits include West Side Story with Theatre Cedar Rapids; Wonderland, Albert Herring, The Marriage of Figaro, Showboat, The Pirates of Penzance, Die Fledermaus, The Mikado, and Orpheus in the Underworld with Simpson College. Mia Blackman (Ensemble), a sophomore at Walter Johnson HS, is thrilled to be a part of her first KAT MainStage production! Mia’s most recent performances include Annabel Glick in Lucky Stiff (Imagination Stage) and Martha Dunnstock in Heathers (Ovations Theatre). Other performances include: Eulalie Shinn in The Music Man and Jack’s Mother in Into the Woods (BRAVO@KAT),featured dancer (Honk! ), and Guys and Dolls (Society Max) (Imagination Stage). She studies voice with Susan Derry, dance at Joy Of Motion, and is a graduate of Imagination Stage’s Musical Theatre Conservatory.